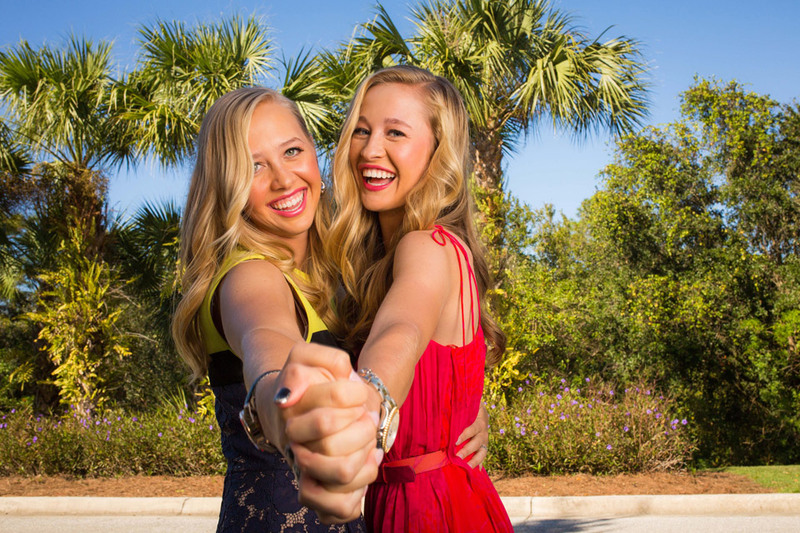 I would like to change this up a bit this time, by strictly rating these girls on their chances of retaining LPGA cards for the 2016 season. Any successes or failures on other tours are not considered here. My only concern here is, are they safe for the upcoming season, or will they have to go back to qualifying school? Sei Young Kim is one of four rookies (Hyo Joo Kim, Minjee Lee, Brooke Henderson are the others) to win this year. If you finish in the top 80 on the 2015 money list, that will be your priority rating for 2016. In other words, if a player finishes #45 on the money list this year, she will be #45 on the priority list next year. That also means she will be eligible for all tournaments, since even limited fields have more than 45 players. It starts to get real tricky after that as the top 10 players on the Symetra tour money list earn playing cards and are given the next ten spots on the Priority List. Players who finish 81-100 on the LPGA money list are then added, followed by the top 20 finishes from qualifying school. All of these players should still get into most tournaments in 2015. If you finish 101-125 on the 2015 money list you are then added to the priority list. Unfortunately, although you get to keep your playing card, you will not get into all full field tournaments. In fact, some of these players will choose to go back to qualifying school to try to improve their priority rating, or even choose to play on another tour. If you finish 126 or worse you lose your playing privileges. First let me state that I have been doing this for a number of years, and the most players I have ever put in this category was 4. We have 10 this year. In my opinion 2015 has the deepest rookie crop ever. 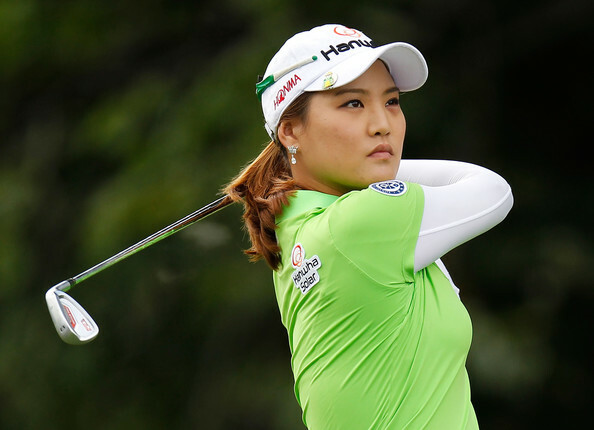 1- Sei Young Kim - A winner twice already this year, she leads by a very narrow margin in the rookie of the year race. She has only missed 2 cuts in 20 tournaments this year. She has 6 top fives, and 9 top tens this year. A mainstay on the LPGA tour for years to come. 2- Hyo Joo Kim - In my opinion the best rookie of 2015. She is already #5 in the world rankings. Currently second in the rookie of the year race, she has played in 2 less tournaments than the current leader. Making 17 of 18 cuts this year, she has 1 win, 4 top fives, and 8 top tens. She has only finished outside the top twenty, 4 times this year. In years to come, her battles with Lexi, Lydia, and Brooke will be classics. 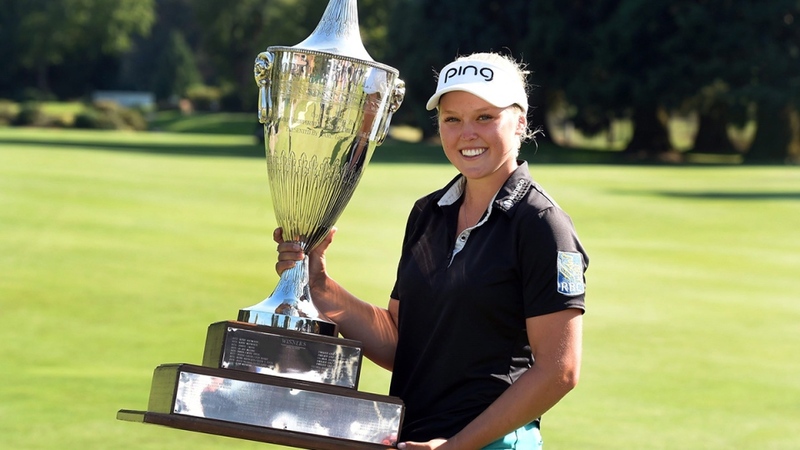 3- Brooke Henderson - Brooke just became a member of the LPGA a couple of weeks ago, and now has rookie status. Like Hyo Joo and Q-Baek last year, she has a full category 7 LPGA card for 2016 based on her victory this year as a non LPGA member. She has played in 12 LPGA events this year, with 1 win and 4 top fives. In just a dozen tournaments, her earnings would place her #14 on the LPGA money list. The only rookie to earn more money per event this year is Sei Young Kim. 4- Minjee Lee - Like the 3 rated above her, Minjee has also won in her rookie year. Currently #3 in the rookie of the year race, she has 1 win, 2 top fives, and 5 top tens to her credit. She has made 17 cuts in 22 tournaments this year. 5- Ha Na Jang - Currently #4 in the rookie of the year race, she has 3 top fives, and 6 top tens to her credit this year. Ha Na has made the cut in 16 of the 18 tournaments she has played in this year. She currently ranks #15 on the money list. Solid in every facet of the game, look for her to be on this tour for a very long time. 6- Alison Lee - How good are this year's rookies? 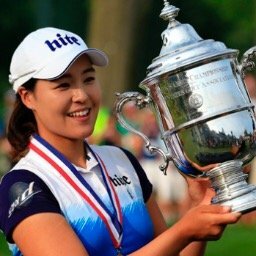 I have Alison #6, and she compares very favorably to 2013 winner Moriya Jutanugarn. Alison has made 15 of 19 cuts this year, with 3 top fives, and five top tens. Currently #5 in rookie of the year points, Alison has done everything this year but win. That will be coming soon. She is currently #21 on the money list. Lacks the experience of most of the players I ranked ahead of her, so look for her to still have a very big upside. 7- Q-Baek - We get a bit of a drop off here in comparison to the top six, but Q-Baek's 2016 card is certainly very secure. She is currently #7 in the ROY standings, and #45 on the money list. Her game has been inconsistent, missing 6 cuts, and she has just 1 top ten all year. Many had her in the fight for ROY this year, but that just hasn't materialized. I think there is a better player in there somewhere, look for it to surface if not this year then next..
8- Ariya Jutanugarn - Almost impossible to rate the season she is having. When I did my pre-season forecast I had her in the top 3, and a favorite to win the ROY award. She started the season with 2 top fives, and 5 top twenties, in her first 5 events. Then the roof caved in. She missed 10 consecutive cuts. Has played better the last couple of weeks, but still not up to her high standards. At #31 on the money list, her 2016 card is secure, but based on this year's results her future appears to be clouded. 9- Charley Hull - Charley would be ranked much higher than this if she played more tournaments on the LPGA tour. Splitting her time with the LET tour, she played in just 9 LPGA tournaments this year, and has 2 top tens. She has missed just one cut. Currently #51 on this year's money list, her card for next year is secure. 10- Sakura Yokomine - Like Q-Baek above, Sakura has been inconsistent and somewhat disappointing when compared to expectations. Playing in 19 tournaments this year, she has missed 5 cuts and has just 1 top 10 finish. Her 4 top 20 finishes has earned her enough money to easily retain her card for 2016. She will be 30 years old at the start of next season, so her career trajectory bears watching. 1- Wei-Ling Hsu - Her fortunes sure took a leap into this category this past week, when she finished 8th at the Yokohama Tire LPGA Classic. It was the first top ten in her career in 21 starts this year. Wei-Ling does have the unusual knack of making cuts (18 of 21), without coming close to contending. In fact, last week's finish was her only top 20. Still, making cuts is a real key in retaining your card, and she is currently #55 on the money list. 2- Min Lee - Min has teed it up 19 times this year, making 14 cuts. She does not have a top ten finish, but does have 2 top twenties. Her best finish came at the U.S. Open where she finished tied for 12th. Currently 62nd on the money list, we will be seeing her next year. 3- Kelly Shon - Kelly had a 3rd place finish earlier in the year at the Manulife Classic, and that alone has saved her year. With just one other top 20 finish in her 19 starts, she still ranks #74 on the money list. Kelly will make it to 2016, but will need to play much more consistent to keep moving on. 1- Sadeena Parks - After missing the cut in 10 of her first 11 tournaments this year, she has turned it around with 5 made cuts in her last 7 starts. She has seen the weekend in her last 4 starts, including a 29th place finish this past week. Currently #97 on the money list she needs to stay in the top 100. 2- Soo Bin Kim - Her 13th place finish in Portland a couple of weeks ago has given her a shot at retaining her card. It was her only top 20 finish in 13 starts this year. She has made 7 of 13 cuts, and is currently in the precarious #100 spot on the money list. 3- Laetitia Beck - The first LPGA member ever from Israel has made 8 of 14 cuts this year. The high point of her season came at the Manulife Classic when she finished in 19th place. Unfortunately, she currently ranks #110 on this year's money list, which is a position where she would not lose her card but not get into many events. Last year's #110 place finisher, Rebecca Lee Bentham, wound up with a Priority rating of #157 and teed it up just 10 times this year. Laetitia could decide to go back to Q-school to improve her position for 2016. 4- Jing Yan - It has been a strange year for this young rookie. She made her first 5 cuts of the year (including an 11th place finish at Kingsmill), but then missed the next 6. She rebounded this past week with a 20th place finish. She has made 6 of 12 cuts this year, and currently ranks #111 on the money list. Like Laetitia above, she has a Q-school decision to make. 5- Casey Grice - Because of a poor priority ranking she has gotten into just one tournament, and missed the cut there. Why is she in this category you ask? Because she is currently #8 on the Symetra Tour money list, and if she finishes in the top 10 on that tour, she will have full time playing privileges next year. There are still 6 events left this year on the Symetra Tour, so she will have to play well to keep her current position. 1- Cheyenne Woods - A winner already on the LET, and that famous name, probably led us all to unrealistic expectations. Cheyenne only managed to make 7 cuts in 16 tournaments, with a 24th place finish her best of the year. Currently #124 on the money list, even if she kept that position she would only get into a few events next year. I would think she will choose to try it again at Q-school later on this year. 3- Simin Feng - Although she made 7 cuts this year (out of 18 played), she somehow managed to not finish better than 59th in any of them. Currently #135 on the money list, she will probably be teeing it up at Q-School. The following players just did not cut it in the big time this year. The only chance you will get to see them in 2016 is if they return to Q-school and are successful there. 1- Marissa Steen - She was the 2014 Symetra Tour Money leader, but didn't fare well as an LPGA rookie. Making just 4 of 17 cuts, she is #138 on the money list. 2- Ju Young Park - Probably the biggest disappointment on this entire list when compared to expectations. Ju Young (the younger sister of Hee Young Park), never made any kind of impact on the tour whatsoever. The opportunities were there. Playing in 13 events she only managed to make 3 cuts, with a best finish of T27. Currently #139 on this year's money list, it's off to Q-school if she wants to continue her career here. 3- Sophie Popov- Making just 4 of 10 cuts with a best finish of 41st, she is #140 on the money list. 4- Therese Koelbaek - Made 3 cuts in 16 events, she is #142 on the money list. 5- Elizabeth Nagel - Made 2 cuts in 4 attempts, with a high finish of T55. Currently #143. 6- Jeong Eun Lee - A poor performance in Q-school last year led to a very high priority rating. As a result she only played in 2 LPGA tournaments and made the cut in both, with a best finish of T33. Hopefully she will fare better in Q-school this year as she did show some potential. 7- Demi Runus - Plenty of starts (18), just poor play. Making just 4 cuts she sits at #147. 8- Kendall Dye - After 6 years on the Symetra Tour, Kendall finally made it to the LPGA. She did get into 17 events, but made just 4 cuts. Currently #149 on the money list, we will have to wait and see if at 28 years of age, she will want to return to Q-school. 9- Julie Yang - Made her first cut of the year, and then never made another. Julie missed the cut in the last 10 tournaments she played in. Currently #155 on money list. 10- Emma De Groot - Playing in just two tournaments and making 1 cut (T69), she is currently #167. Has played most of year on the Symetra Tour but doesn't rank very high there. 11- Celine Herbin & Marta Sanz Barrio - Played in 2 & 4 events respectively, with no money earned. Cheyenne Woods has a received a sponsor exemption for the Sime Darby LPGA Malaysia tournament in October. Yes, Kris Tamulis does lead the Solheim Cup standings for the 2017 event. The Manulife LPGA Classic has announced that next year's tournament will be held September 1 - September 4. With the Canadian Pacific open being played in Calgary the week before, it will be back to back tournaments in Canada. Kris Tamulis is the big mover this week soaring from #125 to #71. Austin Ernst leaps from # 51 to #44, while Yani Tseng rebounds 14 spots to #61. Sydnee Michaels jumps into the top 100 for the first time moving from #116 to #100, and Jaye Marie Green continues her 5 week surge moving up 7 more spots to #94. Inbee Park is still leading with 3,726 points. 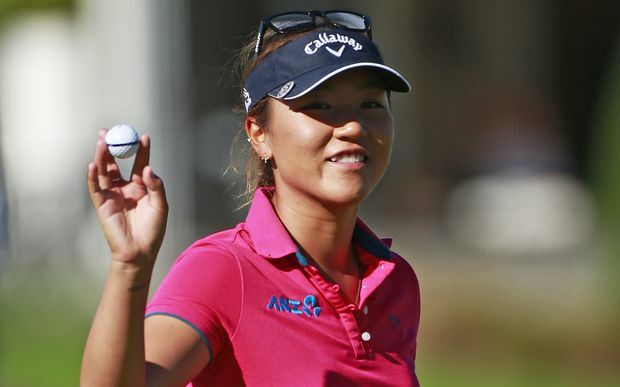 She is followed by Lydia Ko (3,268) and Stacy Lewis (2,704). Lexi Thompson has 1 win, 3 top tens, and 5 top twenties, in her last 5 starts. Kristy McPherson has missed 15 consecutive cuts. Ai Miyazato has missed her last 5 cuts, and the former #1 has now fallen all the way down to #172 in the Rolex Rankings. Excellent report, Tony. Golfers who play on the LPGA and PGA are the best of the best. This shows just how hard it is to, get there, play there, and, ultimately, STAY there! Jet Jockey, you are absolutely right. It is one thing to get here, it is another to stay. This year is very unusual as it looks like about 50% of the rookies will retain their playing cards. The average the past 5 years was closer to 30%. Hi Tony. Do you know exactly what the qualifying criteria for the "Asian Swing" tournaments is? It seems like they have 60-70 spots open for LPGA players. On the broadcasts they mentioned how much money Brooke Henderson needs to make by Evian to qualify for those tournaments which seems to imply they aren't going by the 2015 priority list but current year money list. Thanks. Arthur, when the LPGA goes on its Asian swing a whole new set of rules apply. The Priority list, that was used for all the previous tournaments is thrown out the window, and the 2015 money list is used. Now remember, all the Asian events are not full field events. They will have fields of just 75-81 players, so you must be that high on this year's money list to qualify to play. Also, there is no cut for these tournaments. The main reason being very few players would make the trip without being guaranteed a portion of the purse. Keep in mind that if you are a sponsor exemption (like Cheyenne Woods is at the Sime Darby), the money you make does not count as official money, and will be of no help in retaining your playing card for the coming year. Nice work as always, Tony. Can't find much to disagree with at all. Hope Vancouver was good to y'all, was brutally hard to watch it on TV. Thanks Glen. You would be happy to know that this time they opened up the walkway in the back of the 9th hole to the public at th Vancouver CC. Hope you can make it out to Calgary next year.